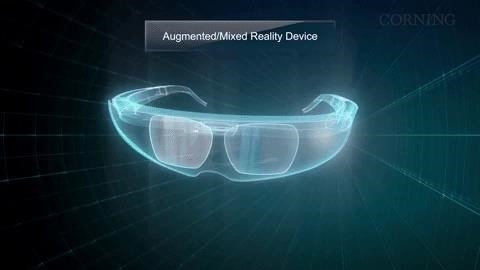 When it comes to making smartglasses that look more like regular eyeglasses and less like sci-fi helmets, Corning International might be among the suppliers to make it happen. 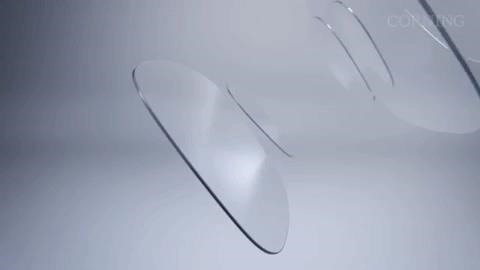 In a recently-released concept video, Corning demonstrates how its precision glass wafers and panels from its Precision Glass Solutions division can make smartglasses possible. 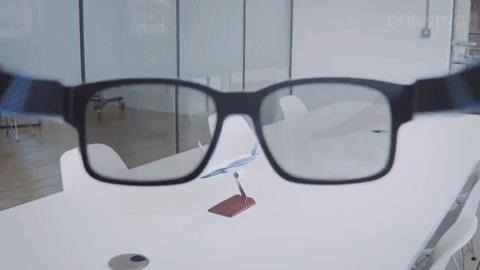 Boasting its own material science expertise, Corning believes that it can deliver the functionality and slimmer form factor needed for consumer-grade AR smartglasses. Unlike some lesser known ventures, the company actually has a time-tested reputation that adds credibility to its claims. Corning's glass graced the face of the original iPhone, and its Gorilla Glass product has since become a standard component in many smartphones, tablets, and other electronics. In fact, in May, Apple, whose ambitions in building its own AR smartglasses have been the subject of rumors and reports in recent months, made a $200 million investment in Corning. That investment will fund research and development, equipment, and state-of-the-art glass processing at the company's Harrodsburg, Kentucky facility. "Corning is a great example of a supplier that has continued to innovate and they are one of Apple's long-standing suppliers," said Jeff Williams, Apple's chief operating officer, via a company statement. "We're extremely proud of our collaboration over the years and we are investing further with Corning who has such a rich legacy of innovative manufacturing practices." Of course, the lenses aren't the only component needed to make smaller AR smartglasses possible. Companies still need to figure out how to stuff processors, sensors, cameras, and batteries into the regular-sized frames as well. So even if Corning is ahead of the curve, we may need a few more cycles of Moore's Law before the industry attains a compact form factor that consumers feel comfortable wearing in public and that can truly be considered a mainstream device.